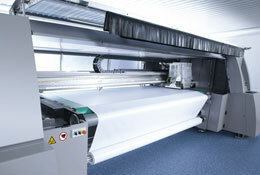 Production print depends on the effective interplay of software and hardware. Clever innovations in software don’t always work out so well at output. We are continuously working with new technologies to evaluate their likely performance in a production environment, information that we sometimes share, and sometimes do not. We specialise in colour management technologies and workflow efficiency, neither of which is particularly easy to test. Our testing projects are designed to evaluate how technologies perform in a production environment, with a heavy emphasis on implementation and user benefits. Our testing of wide format digital printers has been going on for many years, initially with digital inkjet proofing systems and more recently with UV curing wide format printers. 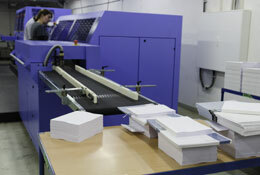 This fast growing and dynamic sector is driving many new applications for print media. Our history of technology testing goes back for more years than we care to remember. It is a fundamental part of what Digital Dots is all about, starting with RIP tests in the last century, film digitisation tests in the 1990s, and high end digital scanner tests in the 2000s. More recently we have tested spot colour proofing systems, monitors, colour measurement tools, wide and superwide format printers. 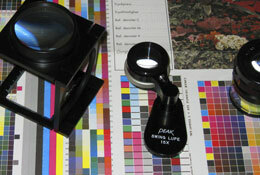 We have our own colour lab and a range of high end testing equipment. Our testing work extends to beta testing of hardware and software, and we have extensive experience in this area, dating back to the early days of the Apple Macintosh, PageMaker and the IBM PC. Today our testing work covers colour management tools and production workflow technologies. Much of this work is bespoke, however we have produced a number of reports. The most significant of these is our implementation documents for ISO 12647-2. The Standardised Print Production guides are written for printers and print buyers who want to produce print that conforms to this quality and process control standard.